If you didn’t read Sunday’s post, you might want to do so before reading this one. I remember visiting my grandmother in the hospital several times as she grew older, but her decline was–I hate to admit–of no great personal interest to me. I loved going to North Carolina to visit my Williford grandparents, but merely tolerated visits to my Bruner grandmother’s house. Thankfully, my mother’s great-aunt and several of her brothers and their families lived in Richmond, too, so I was able to escape to less severe surroundings periodically. I wish I could remember Grandmother Bruner with love. Or even with fondness. At least when we reunite in Heaven, we’ll be there as equals. And undoubtedly have more in common. I remember more things about that house at 2420 Hanover Avenue than I do about my grandmother. Especially one thing which became quite a joke between my parents. When my mother requested that our name be put on the dining room table (a much simpler process than listing individual items in a will) to inherit at the appropriate time. My father had protested. We would never have room for it. 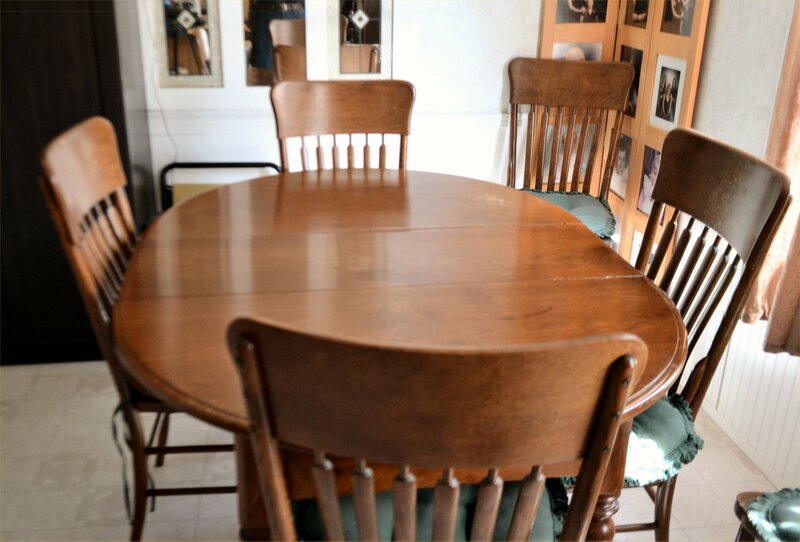 It took up most of the dining room at my grandmother’s house. 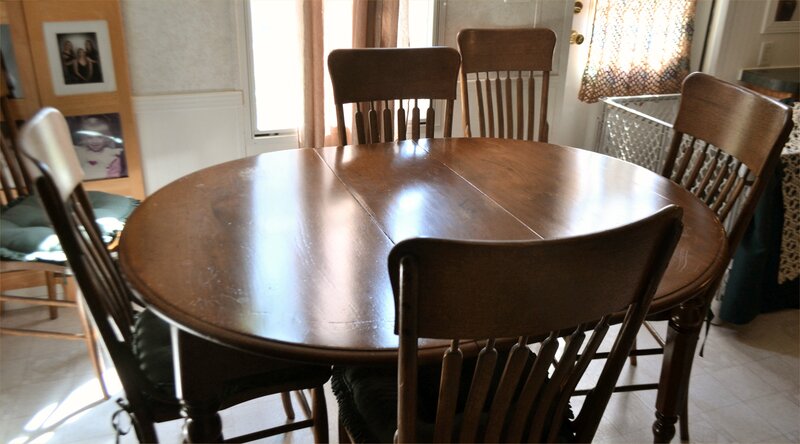 How amazed he was when he learned that it was actually a round table that had eight or ten leaves! 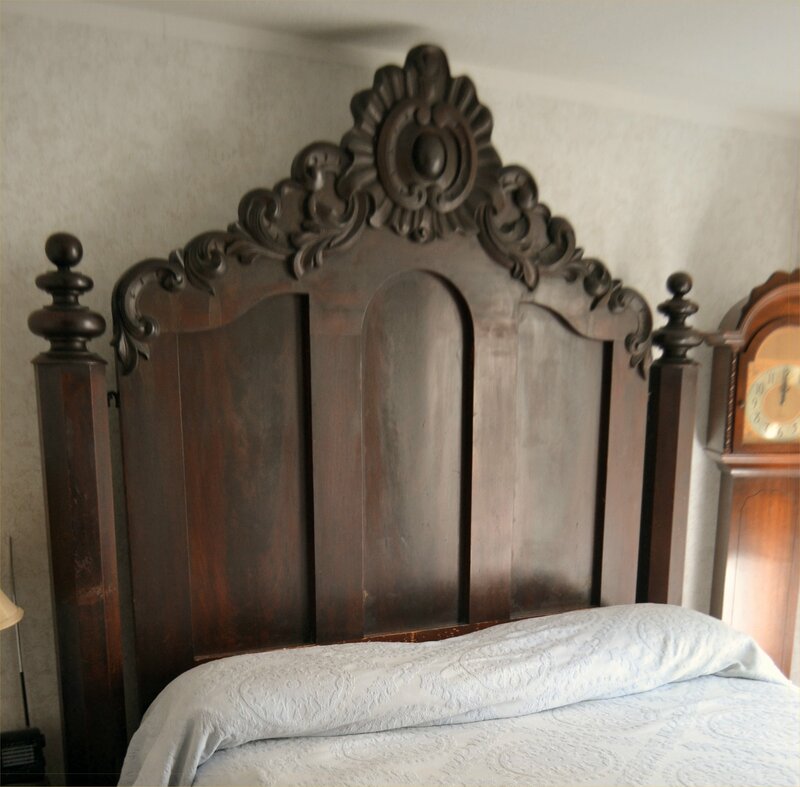 In one of the bedrooms upstairs was the humongous bed everyone affectionately referred to as grandpa’s bed. It had belonged to my great-grandparents and dated back to sometime in the 1800s. 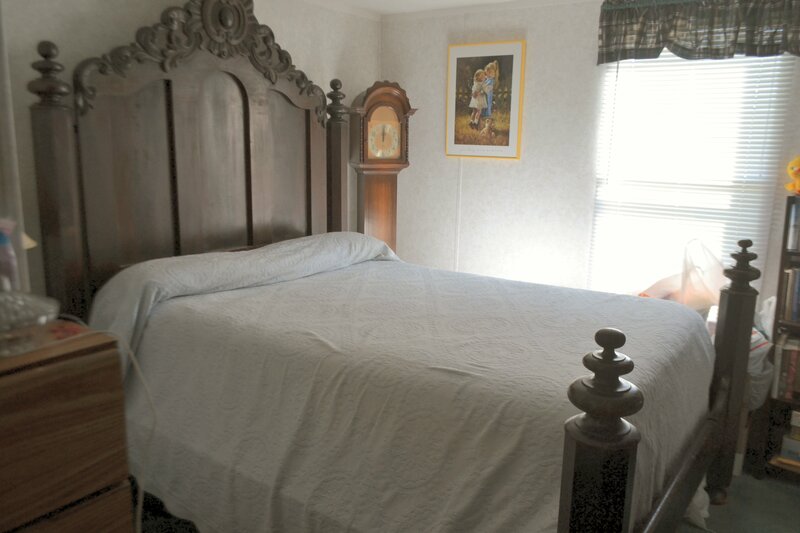 My great-grandmother had given birth to her numerous children in that bed. I hasten to add that the mattress was not the original one. Because of my great-grandmother’s connection to the Women’s Missionary Union (see the previous post), that bed would be of great value to the WMU. But, for now, it’s our guest room bed. A painting on one of the downstairs walls especially fascinated me. It showed the inauguration of Jefferson Davis as the President of the Confederacy. Specifically–at least this is how I remember it–it depicted one of our ancestors praying the inaugural prayer. At my grandmother’s death it was donated to the Museum of the Confederacy. I was quite fond of turtles as a youngster, and my father would bring home turtles he rescued from the roads he traveled. One Sunday while we were visiting my grandmother, he brought home a humongous turtle which he had rescued from someone who was beating it (rather unsuccessfully, I should think) with an umbrella. As the turtle expert, I didn’t have to look twice at my new pet to know my loving father had rescued a snapping turtle. One that was certain not to make a good pet. Unsure what to do with it, we put it in a closed-in concrete area outside the door to the basement at 2620 and blocked the steps at the top. I don’t recall what we used, but it failed to keep the snapping turtle from escaping. I don’t know how many hours I spent looking for the escapee, but I feel certain I covered every inch of that backyard. I’ve often wondered how shocked people were to spot such a good-sized snapping turtle wandering around one of Richmond’s older residential areas. We never saw it again, though. I mentioned the round table, but what I remember better than Lizzy’s cooking was the fact that we read Scripture before each meal. I had my favorite–Revelation 5–and I gladly took my turn reading it aloud to my fellow diners. I’m afraid I was serious when I said I remember the house with more affection than I remember my paternal grandmother. She was not a–how shall I say it?–not a cuddly grandmother. I don’t doubt that she loved me, but I can only wish she had demonstrated it the way my maternal grandparents did. Do you have relatives you simply find it impossible to feel much affection for? Perhaps relatives you just can’t find a way to get close to? How about sharing a comment? This entry was posted in Entertainment Center, Grandmother, Inaugural Prayer, Jefferson Davis, Snapping Turtles, Uncategorized and tagged As I Come Singing, Dining Room Table, Entertainment Center, Free Christian Lead Sheets, Free Christian Lyrics, Grandpa's Bed, Inaugural Painting, Jefferson Davis, On Aging Gracelessly, Snapping Turtle, The Confederacy. Bookmark the permalink. I believe most of us do. But I still pray for them and hope one day to finally grow close. Lots nice to remember way back when and try to glean a lesson or two!